Controlling medical costs in the United States, to put it kindly, is a work in progress. If I was a pessimist, I might liken our current situation to a runaway train dragging us all towards financial ruin, but I am more of a "cup-is-half-full-of-crippling-debt" kind of guy. 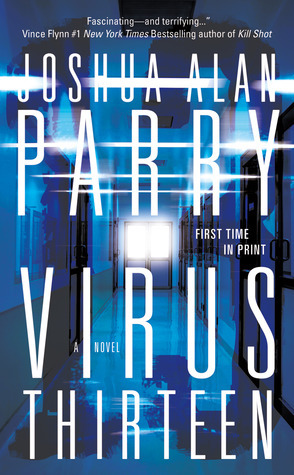 In my novel, Virus Thirteen, I delve into a universe where the United States’ medical system is vastly different than it is now, where ever-increasing medical costs and insurance premiums have left the majority of Americans without any health care at all. The U.S. government, saddled with the medical bills of the uninsured, is bankrupted. Subsequently, the greatest depression the country has ever known follows. From the ashes of this economic collapse, the Department of Homeland Healthcare is formed, an organization whose sole purpose is to provide medical care to all and, more importantly, to control its costs...by any means necessary. A totalitarian health care system is born. The Department of Homeland Healthcare's answer to medical costs is simple: eliminate the causes of disease and you won’t have to pay for it. For instance, according to the CDC's website, between 2000 and 2004, cigarette smoking was responsible for $193 billion in annual health-related economic losses in the U.S. In 2008 alone, medical costs associated with obesity were estimated to be $147 billion dollars. Thus, obesity, smoking, and all other things detrimental to people's health have been made illegal in this fictional universe. In the opening scenes of Virus Thirteen, libertarians everywhere will shudder with horror as Homeland Healthcare thugs arrest smokers with contraband tobacco and send the obese off to gulag-like health care "retreats" that would even make The Biggest Loser sadists blush. In this bleak future, Americans have been given the cure, but have forfeited the choice. The decision to be healthy, or not, is the question we must struggle with as individuals and as a society. Can we draw a line between the ultimate liberty of having the freedom to choose harmful lifestyles, even when the repercussions are so damaging to the country as a whole? If we are able to draw this line, will we then take a one massive step over it, suffering under an oppressive system like the characters of Virus Thirteen?